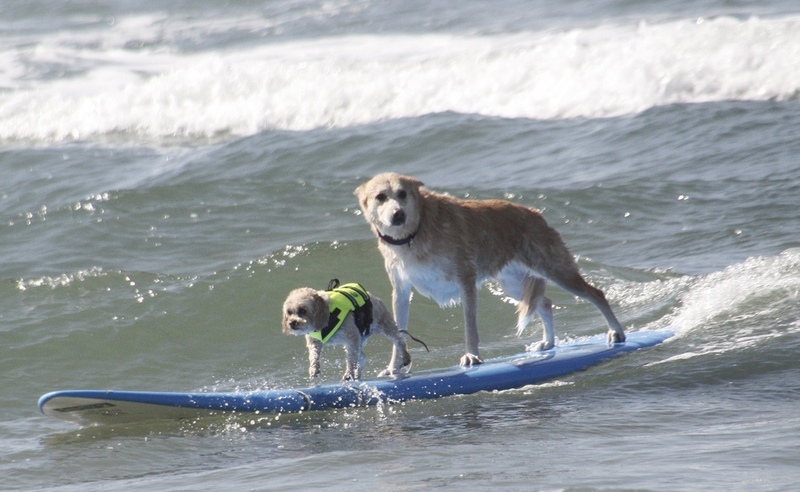 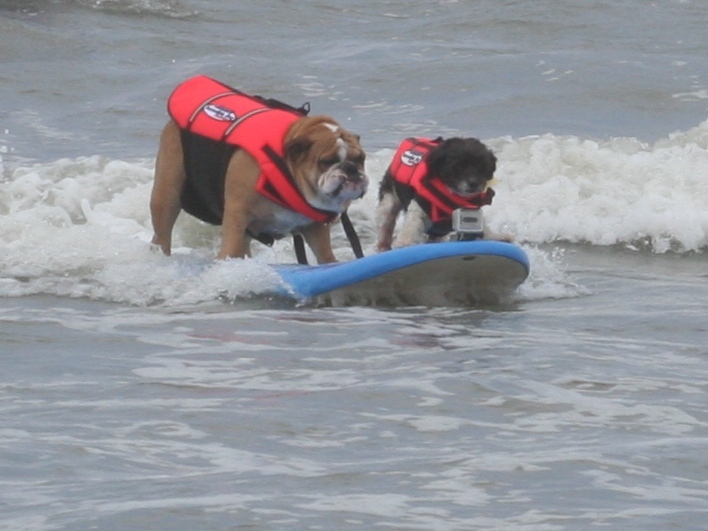 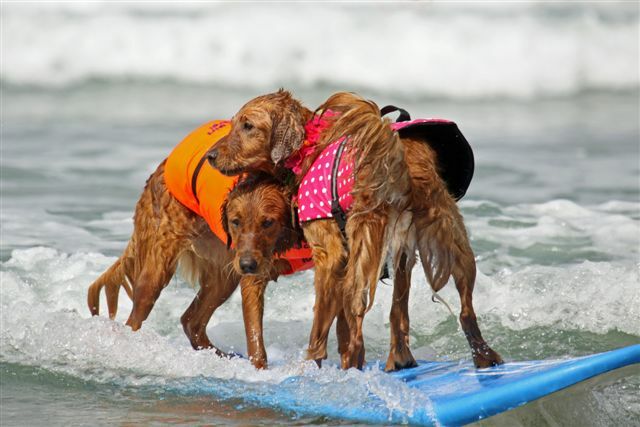 Once your Surf Dog has it figured out, they can try surfing tandem with you or with other dogs. 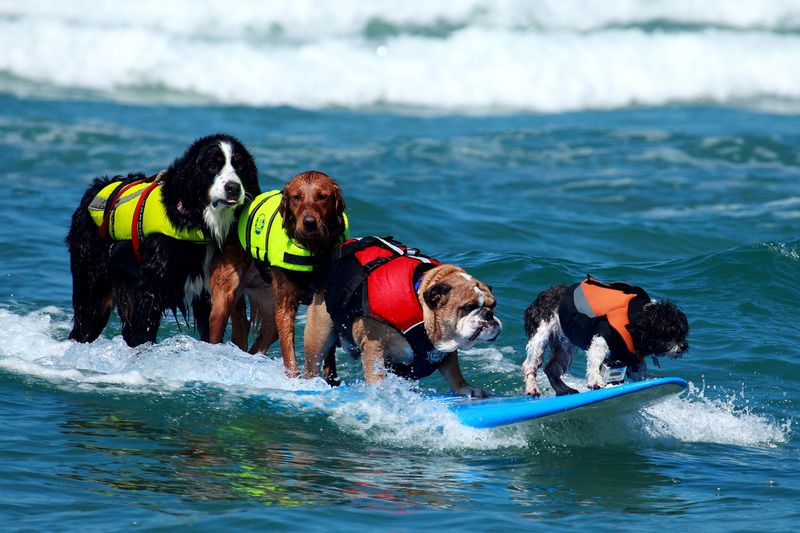 Surf dogs seem to enjoy surfing with their buddies! 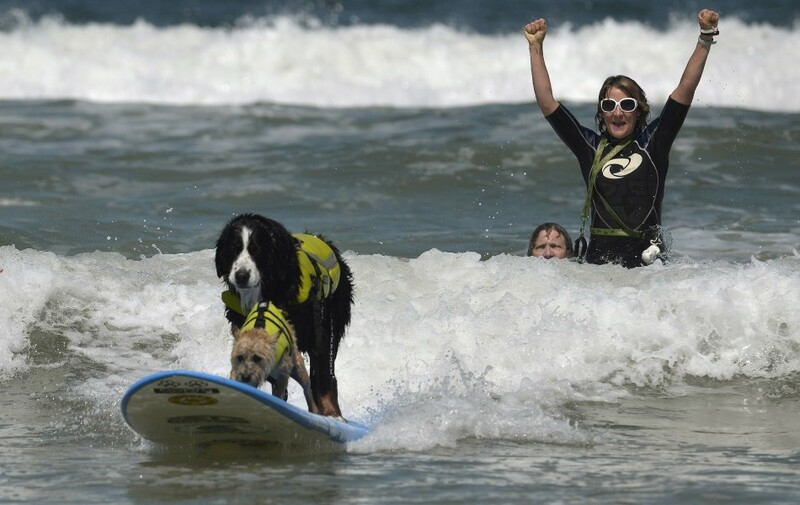 Tandem Dog Surfing stepped it up a notch when in January 2009, So Cal Surf Dog “NANI”, a Bernese Mountain Dog and Surf Dog “Kia”, a Jack Russell Terrier, surf together at Dog Beach in Del Mar. 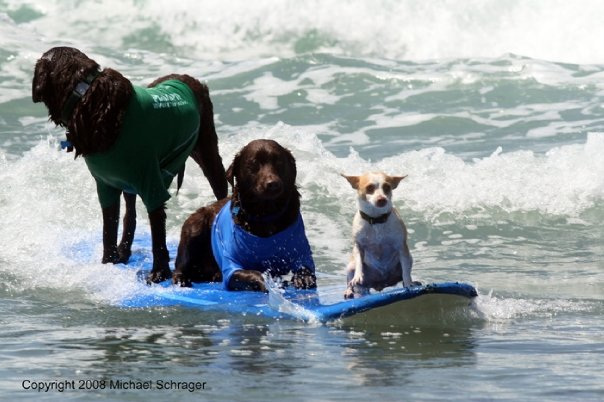 A photo from that day turned into the logo for the Surfin' Paws Surf Dog Jam Surf Dog Competition in Huntington Beach later that year. 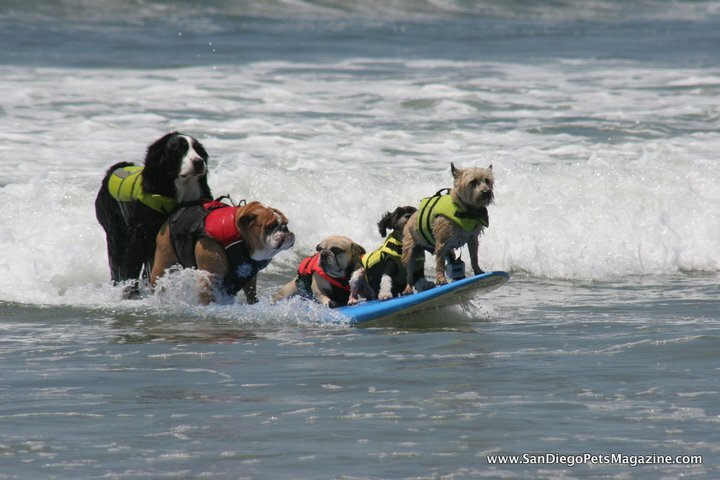 Nani now enjoys Tandem surfing with her best surf buddy “Dozer” an English Bull Dog and So Cal Surf Dog team mates Ricochet, a Golden Retriever and Toby, a Shi Tzu Mix! 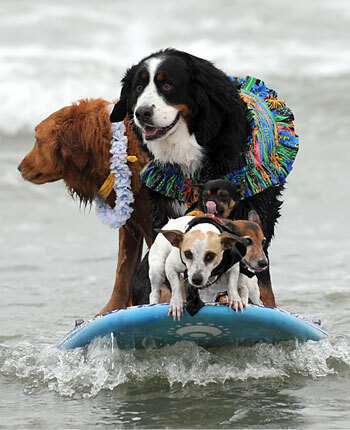 Tandem Dog Surfing has expanded to 4, 5 and even 6 dogs on the same surfboard. 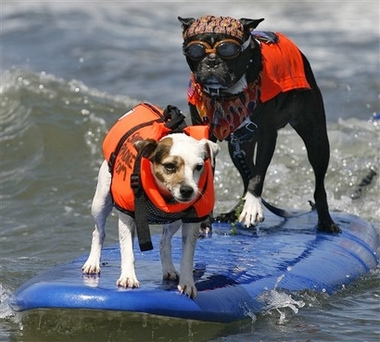 A record was set at the Loews Surf Dog Competition in 2012 with 17 dogs riding one surfboard. Give it a try, your Surf Dog will love it!